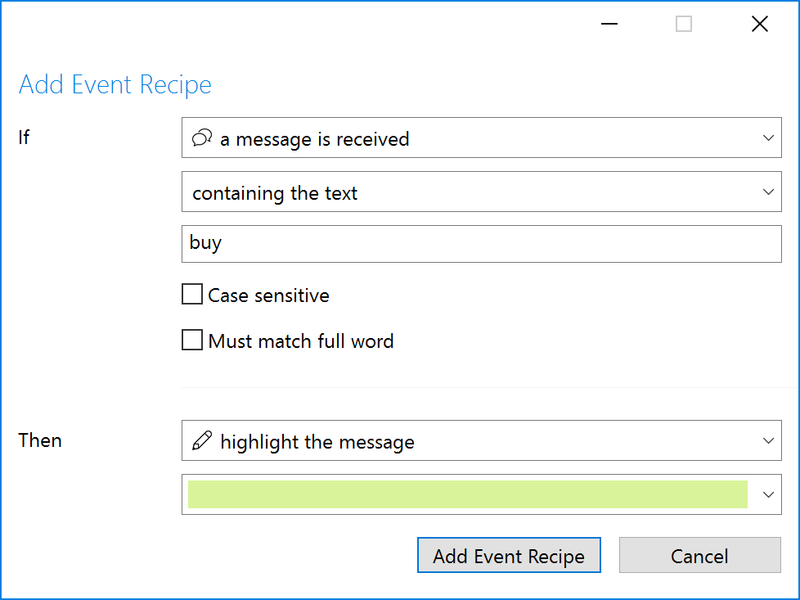 Trillian's powerful events system lets highlight specific words and phrases in your instant messages with different colors. This can be useful if you're a trader receiving a stream of traffic all day long and wish to bring focus on particular words. Click the Trillian button in the upper left of your contact list and click Settings. Click the Events section on the left. Click Add a New Event Recipe. Within the If box, select a message is received and containing the text, then provide your matching rules. Within the Then box, select a highlight color.